Cloudy skies early, followed by partial clearing. Low 44F. Winds NW at 10 to 20 mph..
Cloudy skies early, followed by partial clearing. Low 44F. Winds NW at 10 to 20 mph. A Wisconsin Cheesemaker can spend a lifetime perfecting His Craft. Widmer's Cheese Cellars embrace the manufacturing techniques which have been handed down through generations of European and Wisconsin cheese makers, Widmer's Cheese Cellars carefully produces some of the finest Brick, Cheddar and Colby cheeses in the world. In Wisconsin, the cheese making legacy runs deep and examples of third-and fourth generation Wisconsin cheese makers carrying on the family tradition are common. Joe Widmer, of Widmer’s Cheese Cellars in tiny Theresa, Wisconsin, is one such third-generation example. Born into the craft and raised with his six siblings in quarters above the cheese plant, Widmer has succeeded in building the business with a combination of strict adherence to tradition and savvy marketing. Widmer’s best known for producing Brick cheese and traditional stirred-curd Colby, both Wisconsin original created in small towns nearby. 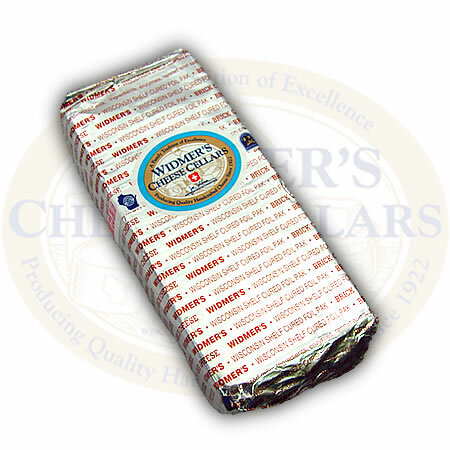 More recently, Widmer has gained fame for his four-year cheddar, a 2002 ACS winner and, according to Joe, a specialty that’s fast become a signature product, changing demographics, in a part, are credited with the tipping of the scales in term of sales and production from brick to cheddar. Cheese is a nutritious milk product that has been one of man's most important foods for thousands of years. 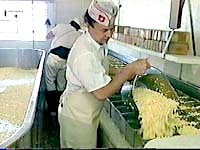 Come and see Wisconsin's only cheese factory still using real bricks to press their brick cheese. Order your Holiday Gift Box today, we ship anywhere in the US, starting at $34.40.